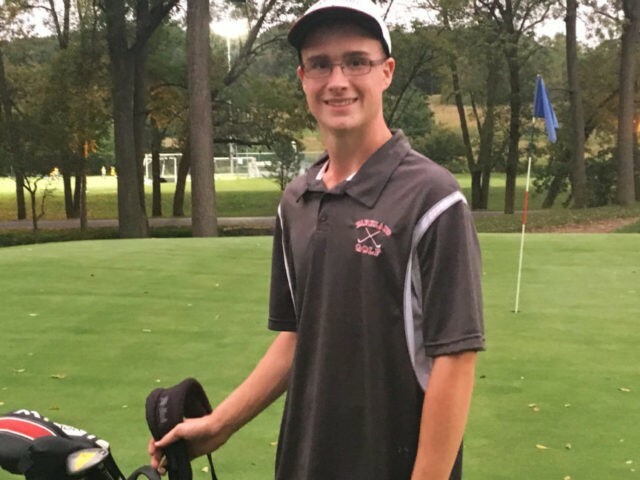 ALLENTOWN, Pa. (AP) — A Pennsylvania high school golfer has defied huge odds by recording two holes-in-one in the same round. Parkland High School golfer Ben Tetzlaff tells The (Allentown) Morning Call (http://bit.ly/2wCyfXn ) he still can’t believe the feat, which came during a nine-hole practice round Monday at Iron Lakes Country Club. The National Hold-In-One Registry calculated the odds of the feat at 67 million-to-1. Parkland coach Scott Levan says he missed the first ace, but saw the second when Tetzlaff hit a 9-iron on the 140-yard sixth hole. Tetzlaff had already sunk a gap wedge on the 104-yard second hole. Tetzlaff’s career-low round is a 76 he shot at Allentown Municipal Golf Course. He hopes to play golf in college.